Reflections Within a Smile - Open up Life with Your Smile. People might make life complicated. However, it’s in front of us, reflected in the possibilities of each smile we pass by. I don’t take many pictures as the moment’s tumble across my path, but occasionally some fun ones gather about the dustbins of my computer folders. I could go on and on about memories, pictures, red dust, attachments, etc., why I often refuse or skip out of being photographed. The greatest measure of who we are or were: are our reflections captured within a smile. She swooped down from nowhere. Being alive is the very definition of having possibility. A smile is an acceptance, a joining with something larger than oneself. It’s recognition (often an initiation) of intention to explore an opportunity. A frown is rejection, a lessening of self by removing available options. A smile is an intersection between a hidden inner self and the larger world. The connection works both ways: reaching out to help another with a smile can reflect in a balancing, uplifting manner. For this reason, when most depressed I will often make someone else smile. to make another person smile. The act of smiling is a very powerful exercise in itself. In Qi Gong yoga an integral part of the practice is to smile. Note 1) Of course at times, at times it pays better to be grumpy. It really isn’t that hard to shift perception enough to make a difference in your whole day. Naturalness is called the Way. The experience of the blossoming of the golden flower is likened to light in the sky, a sky of awareness vaster than images, thoughts, and feelings, an unimpeded space containing everything without being filled. Thus it opens up an avenue to an endless source of intuition, creativity, and inspiration. Once this power of mental awakening has been developed, it can be renewed and deepened without limit. I’m sending the golden flower to you today as a gift and as a reminder of the dream we are dreaming into being. The dream of passion, harmony, and grace in our everyday lives. If you think a negative thought or feel a shadow emotion such as anger, then reverse the path and think of the Golden Flower and feel the Golden flower surrounding you. Imagine your light shining like the golden flower and smile. I mean faster than a speeding bullet!!! Of course, we are doing that right now: wondering what the hell is happening ourselves. Trends, look at the trends. It isn’t hard to see the various dots, the various actions, and events which are both releasing and building up as newer and greater potential. As Taoists, we are trained in practices of both awareness and flowing with potential. The trap for new practitioners is to activate potentials too soon, to read and measure results, and then create the vision to occur. Don’t ask for answers to be, Work now to make you life full. Reach out in kindness and make the times the best they can be. Don’t let society dictate your heart nor actions. Live naturally to what is right and work in a way to not be comfortable, but to be alive. How was it possible for so many to start freshly, to rebuild a new world to heart? And you might ask me how, and I must smile and say: I just taught you the path, but the action still must come from your heart, your hands, your life. The only difference between any of these famous Saviors and you is one: They just started acting to their heart with kindness… Nothing else. It’s not about being the focal point for others, it’s just about focusing in on your own heart and living it. I smile since it’s so easy in reality and know this: any excuse you give me to the contrary, any logical or emotional argument against what I say… is just an excuse… and a personal lie you use to disempower yourself. I won’t debate this, it just is. It’s your choice to make the times great or your choice… to allow the trends just to carry you further away from your own heart and life. I am personally living in the greatest of all times, peace and be welcomed to join in with heart. And I will start this walk, on this path ahead, with a smile! 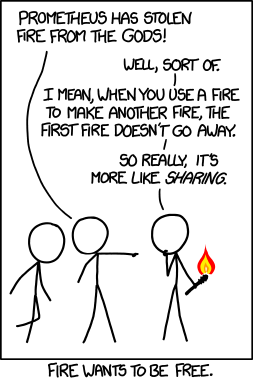 All blaze upon how we share and use these concepts rather than hide or hoard them. This truth forms a strong spiritual practice, none of it is a secret. These concepts merely require a person to reach out, live and share our stories rather than trying to steal power from others or undercut other stories. If after talking to a spiritual teacher… it doesn’t click in 15 minutes. Then smile 🙂 move on and explore some more. Until realizing your heart isn’t reflected from the spoken words of another. Living in a spiritual and kind life isn’t what is hard. What is hard is dealing with extra drama people use to hold longer useful personal stories. The smile is the window to our fire! Look for the elements of the story that have been imposed on you to prevent from connecting to your own spirit. Seek a simple path in how to live again to Heart, Kindness, Love, Compassion, and Acceptance. Now you will ask how does a smile make my life easier? It doesn’t. Living is a lot of work, never think otherwise, but what type of work is it? Many souls work towards comfort. Comfort is not happiness and comfort isn’t a life rather it’s a lifestyle. More interestingly comfort is a shape, and couch potato is not a graceful long-term shape to attain. Comfort becomes stasis all too fast. Stasis is the opposite of living. To be alive is to embrace and stoke that fire within your heart. Walls do not make a prison but they sure do help! Comfort and money won’t make life easier in the great picture sense, but they do help in small steps up front. However, after resolving out the basic needs, a person quickly returns to the issue of how to define their life. Living is a lot of work, but it isn’t a job. People work at making their life full. In working it’s all too easy to get distracted and miss the living. In a consumer culture, we consume our living. We consume movies and watch others live (in part to remind us to smile). That leads to a trap to think: ‘Oh if my life could be that beautiful…’. It can be! Not by watching outside of your life but by being aware and active in your life. Let me illustrate: A few days ago I was mulling over a seeming blah day. It was a grey day like any other grey day until looking closer. A morning of mist, rainbows were scattered to the morning sun. At one location the rain splashed in a daze of bright white into the air, like water exploding off a drum head all about me. Each day offers something to behold. That day wasn’t any more special than any other day. Rather I chose to be fully present, and that effort made it worth beholding. So from one hand the day looked *blah* and on another hand it was amazing!. A smile is the invitation to make your life more, to help you work through the hard parts and connect to the amazing parts. Life only becomes blah in judgment, by only holding your life as work to push through. By forgetting to connect to the amazing parts around us, we become blah. This blah push through the day attitude is only reinforced by our modern work environment. I prefer to see every day as a life worth exploring, even when in the mundane. I have seen and lived so many moments that could be out of a movie… and yet my life is so ordinary. What makes the difference is working, yes working, at being aware and present in life to be alive. The push of active participation in personal awareness is what pushes one beyond comfort into becoming the actual fulfillment of life. In Taoism, we work on being aware. A day in the life of a Taoist… nothing more, nothing less but connected to all. Exploring with an interactive awareness. So a central theme to Taoism is practicing smiling to help remind us to connect us to potential and using awareness to see the options. Discover how to be truly human and alive without having to go to the movies. Learning to be aware is an interesting, ever-evolving, road. You will travel it a whole lifetime and yet never reach any final destination. You will encounter countless experiences, have moments that outshine even the best movie effects, and yes you will always move on, to go on. Awareness leads to a fullness: of vision, of knowing the patterns, sensing the flows, where it goes beyond words. It’s only natural to share with others these experiences. Yet you will find the words fall short over what it is you have experienced… as words never repeat the experience. The alternative then becomes to push the experience more towards a story. Where the story, being a story, goes places which are beyond the experience. Neither of these paths allows for true justice relative to the experience. In the end, those who are called wise, also often become quiet for this reason. There is so much to witness, too much really. So over time, one learns to embrace it silently, with a smile. Then in pause, you can reconnect to it whenever you wish. What you experience keeps expanding outward with time… This expansion of time does tend to stretch the experience into a story. Being human, having limitations of memory, means only holding so much at once. So holding each moment lightly allows for the most expansive way to retain these experiences. Ever more lightly as you expand in experiences. When needing some refreshment, some insight, some help, you can then re-touch the smallest bit for assurance and rediscover that experience. Then to move on with simplicity and without saying a word. It’s an amazing path and one I do recommend exploring. You won’t find it in a book, nor from on high. It simply comes to you, when you start being ready to listen, to everything and nothing and just accept it as it unfolds. And most often this all gets initiated with a smile. The invitation and opening to connect to everything. 🙂 yes the illusion of control is the breaking point of many activities. Or is control a delusion? Lovely pictures of people awake and alive with life. I found that as long as we don’t attach to the results or try to force our interactions to go a certain way, it is fine to be emotionally attached to others. It’s when we try to control others or the outcomes of interactions that we get into trouble. As to being remembered, I’m with you. Some will remember me, many won’t, so what? It is not important. What is important is to be fully present when we are here, fully awake and alive.